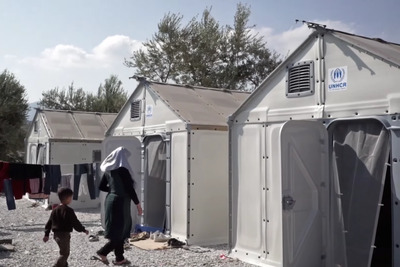 in 2015, the UN’s Refugee Agency ordered 10,000 shelters for refugee families around the world. But these aren’t any ordinary shelters. 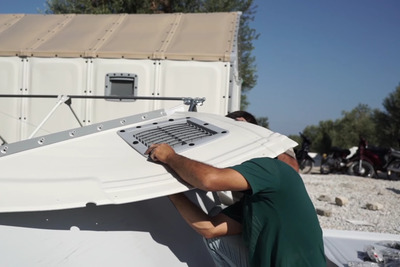 These IKEA-designed shelters are safer, more durable, more cost effective, and generally bigger and more useful than the tents the UN typically uses for refugees. Take a look at how they work. IKEA's Better Shelters can last up to three years. In contrast, current UN tents only last about six months due to harsh weather conditions. 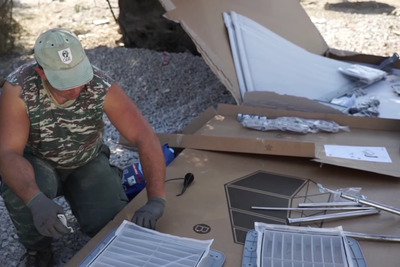 The shelters are composed of three individual parts -- the frame, the panels, and a photovoltaic system for lights and power -- which are easy to assemble, disassemble, and reuse. 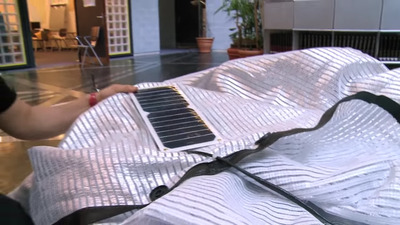 The photovoltaic system is housed on the shelter's roof, and it's powered by the sun. 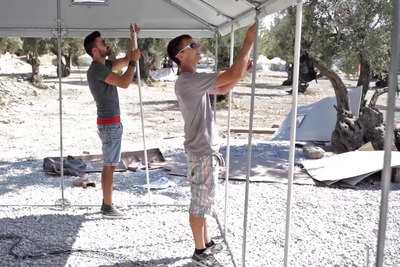 These self-standing shelters can be built without needing any extra tools or equipment. There's 57 square feet of space inside these shelters, which are also six feet tall so people can stand upright. 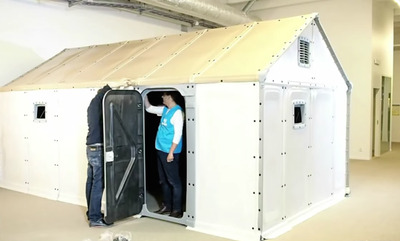 IKEA ships these shelters in two giant cardboard boxes, which can each be lifted by four people, according to Better Shelter. Construction can take anywhere between four and eight hours. Each shelter comes with flexible, lockable doors, aimed at protecting families from intruders and sexual assault. 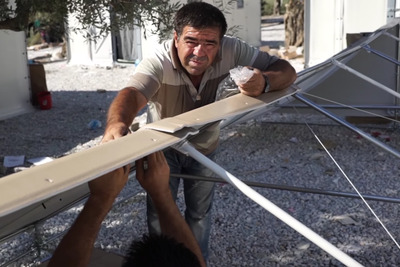 Since the shelter lacks ropes or wires to keep it tethered, these shelters include ground anchors to help withstand strong winds. 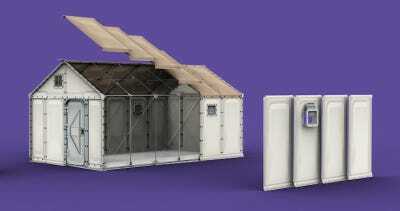 Shelters come with four windows and two ventilation openings, which are all adjustable and come with mosquito nets. The lightweight foam panels on the sides of the shelter can withstand all the elements, including rain, wind, snow, and the sun. 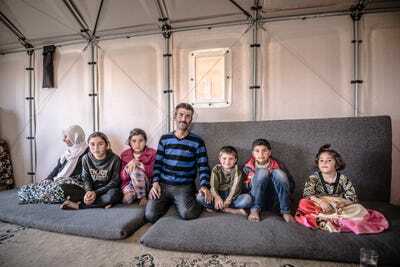 'Putting refugee families and their needs at the heart of this project is a great example of how democratic design can be used for humanitarian value,' IKEA Foundation's head of strategic planning said about these shelters. You can learn more about Better Shelter here.